A veneer is a thin layer of material that’s formed around teeth to repair cracks or improve the look of a tooth. 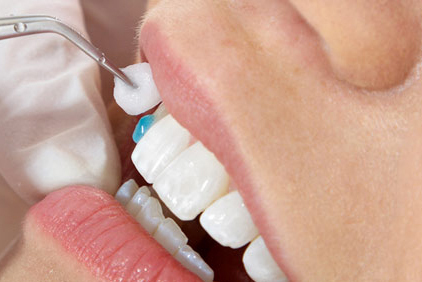 Veneers last 10-30 years, and are custom-fitted to teeth. We can install veneers either straight onto your teeth, or fabricate them externally and adhere them with porcelain cement.